M. Luis Construction co-owners, help Cidalia Luis-Akbar, cheap President and Natalia Luis, Vice President, have been recognized and honored multiple times this year for “building roads for next generations” both figuratively and literally. Honors include: an invitation to the White House, commemorating the five-year anniversary of the U.S.’s financial collapse, celebrating their successes as a business that had persevered through the economic crisis; selected as two of twenty-five Washington, D.C. area entrepreneurs to receive the “2013 Women of Color Award”; and awarded the “Ernst and Young Entrepreneur of the Year 2013 Maryland Award” in the construction and manufacturing category. 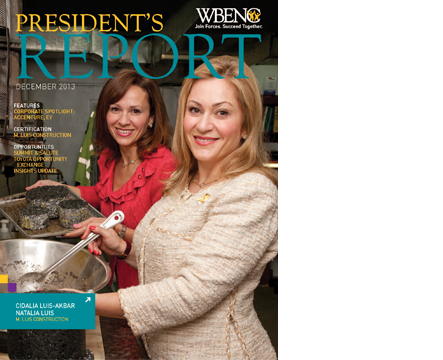 Cidalia Luis-Akbar, President and Natalia Luis, Vice President, co-owners of M. Luis Construction, a multi-generational Asphalt Manufacturer and Construction Services company established in 1985, took ownership of the business in 2008. M.Luis is one of the fastest-growing, middle-market asphalt manufacturing and construction services companies based in the Mid-Atlantic Region that has successfully manufactured hundreds of thousands of tons of asphalt and paved thousands of lane miles of roads and highways, generating over $60 million in annual revenue and employing more than 200 people. Figuratively and literally, upholding their vision, M. Luis “builds roads for the next generation”. “It was a privilege and an honor to meet the President and be chosen for this event. We’re proud of the company’s accomplishments. Our growth shows the importance of industry-government partnerships and the exponential impact that loan programs can have,” said Cidalia. “As entrepreneurs, we are excited to play a role in helping to move the economy forward,” said Natalia.